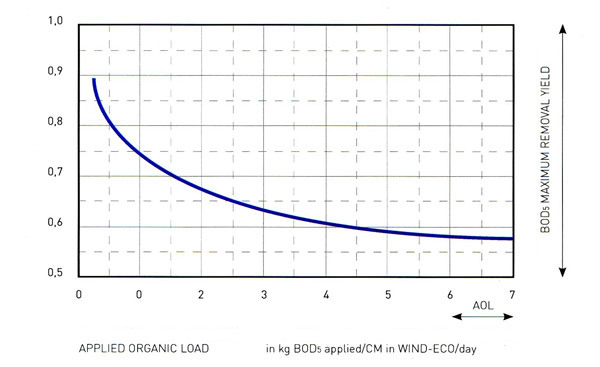 WIND-ECO's geometry has been developed in order obtain extensive wet surface bed compared to their volume. WIND-ECO allows therefore hydraulic applicable surfaced loads. The height permeability and strong hydraulic applicable load minimize any risk of stoppage of the bed, even in case of high specific organic load. The material employed and the geometry of WIND-ECO grant a high compression resistance. In bed-heights up to 6 metres, the most compressed layers undergo a deformation lower than 1-2%.